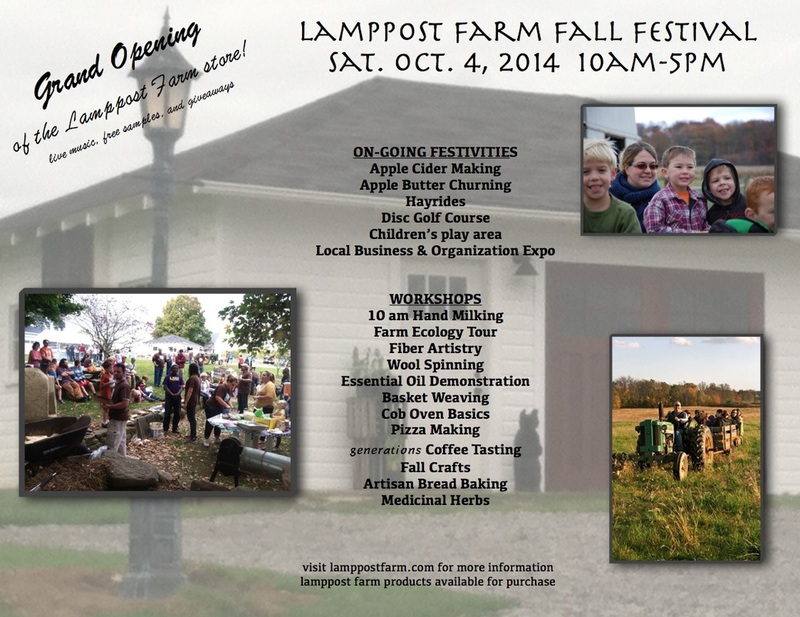 fallfest2014 - Welcome to Lamppost Farm! The leaves begin to change and the morning air turns crisp and cool, the earth is aglow with the expectancy of a rich harvest. Join us to celebrate the beauty and the bounty of autumn at our Fall Festival. The farm will be buzzing with a variety of workshops, demonstrations, and festivities throughout the day. Come taste the apple cider, smell the wood-fired pizza, and and feel the crunch of leaves under your feet--the hay wagon will be going all day!